The Taiwan based provider of system-on-chip, MediaTek has managed to be in limelight in crazy-competitive world of technology by releasing its octa-core MT6592 chipset. Here, a question should pop up in your mind that what are the remarkable attributes of this creation, whereby company has received a lot of accolades and revenue? The answer is, this multitasking processor introduced an advanced feature, called HotKnot which is now the main USP of MediaTek’s chips and recently has been seen in Intex Aqua Amaze and XOLO Play 8X-1100. This unconventional technology has been commenced to revolutionize the burgeoning segment of smart devices and brought an innovative concept of short-range wireless communication. To make you apparent, HotKnot is not the first invention in this field because NFC is ruling here from a long time. It has been using in cell phones since Google Nexus S as well as it is now a trump card of flagships like Apple iPhone 6, iPhone 6 Plus and many more. 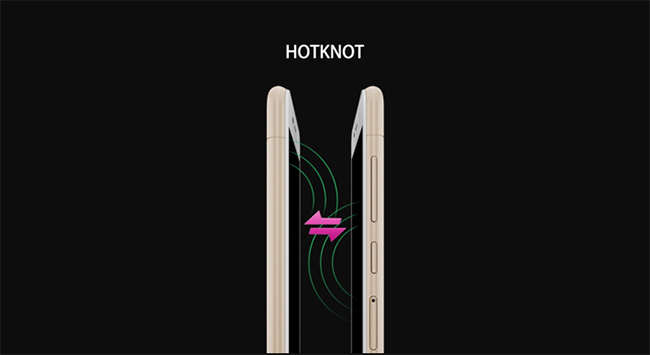 Articulately, HotKnot does not require an RF communication chip or antenna for execution of tasks, which makes it different form Near field communication (NFC). Well, NFC is an amelioration of radio-frequency identification (RFID) that also empowers the users to seamlessly share content between digital devices, where no pairing code is needed like Bluetooth. If HotKnot don’t need RF Chips and Antenna then how does it transfer the data? So, this mechanism has been developed by using capacitive touch driver ICs for touch screens to exchange communication protocols between two devices, when their screens are brought close together over a distance of 0-1 cm. Notably, projected capacitive touch panel is a quest of Goodix that is a leading designer of capacitive touch controller. The touch sensor chip is also coupled with gravity sensor (G-sensor) and a proximity sensor (P-sensor), which ascertain the actual contact and unearth the presence of nearby objects respectively before the transmission. When, HotKnot-featured projected touch panels come near to each other, they establish capacitive coupling or we can say set up a connection only in a short period of time. After that, inbuilt digital signal processors become activated for data transmission by sensing the process. 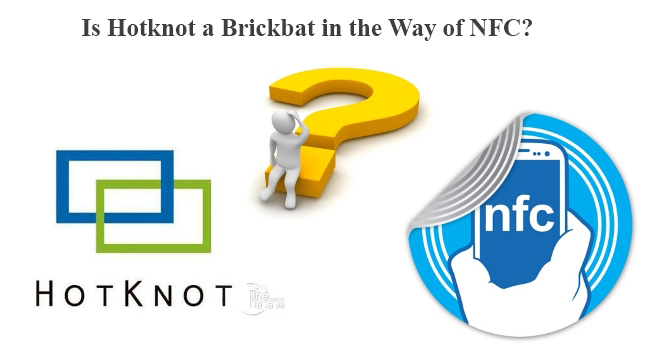 Is HotKnot a Brickbat in the Way of NFC? However, both the technologies have their own advantages on every aspect, whereas they also share some resemblance with each other. Nevertheless, MediaTek’s novel discovery is little profitable over NFC in terms of fabrication. As we have seen earlier, HotKnot is not at all dependent on RF chip and antenna, therefore expense in manufacturing is less and it has been said as a cheaper alternative to NFC. As a result, MediaTek-made devices arrive with lower selling prices. It has been claimed by MediaTek that this data-transmission technology performs all what highly-priced NFC do. It capacitates the smartphones to exchange web addresses, photos, videos, game play moves, any discrete app data, device capability data to enable Bluetooth pairing, Wi-Fi connectivity. Most importantly, the mechanism facilitates mobile payments and functions well with PayPal even at economical value. But, everything has its own pros and cons, so the downside of this technology is its low transmission power. As it does not use antennas, consequently devices need to directly touch each other to transmit data and it only supports transmission speed upto 7kbps. Whereas, conventional NFC can exchange the data over about a 10 cm distance with 424 kbps speed and establishes the connection under 1/10 second. Although, the Taiwan-based company endeavoring to bring Hotknot technology in a broad range of consumer devices like tablets, wearable devices, smartphones and even TVs for convenient and flawless communication b/w machines. But, company should promote its ability and enhance its low transmission speed as well as feeble transmission range to make it globally accepted as well as to provide remarkable user-experience. « Top Exquisite Restaurants in Goa for Honeymoon Couples to Date at on the Eve of Christmas!